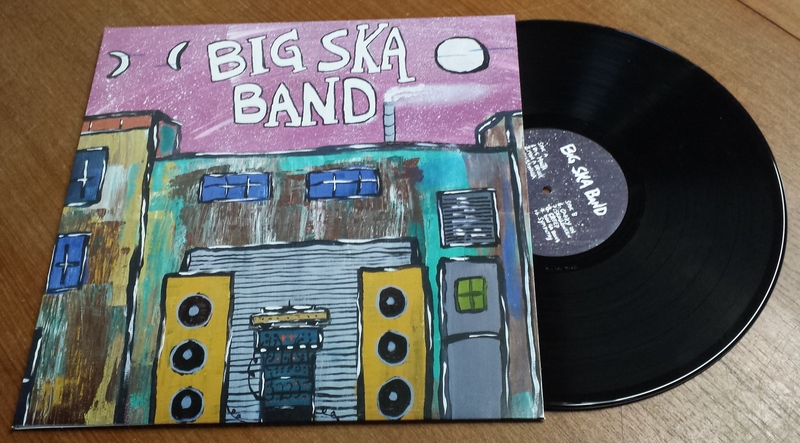 Joey Ferry presents BIG SKA BAND LP vinyl / CD – feat COREY GLOVER of LIVING COLOUR on vocals! Big Ska Band has been together for almost 25 years and has recorded five albums to date including “Skallelujah”, “Big Ska”, “55:22”, “Revival” and the brand new self titled Jump Up Records release. 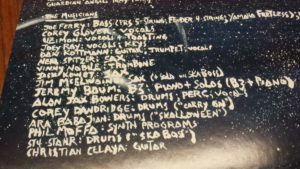 The group is led by Grammy winning producer Joe Ferry, whose credits include “Hi Bop Ska” by The Skatalites; “Greetings From Skamania” by The Skatalites; and “The Age of Insects”, “Hit Me” and “Punk Steady” by SKAndalous Allstars. 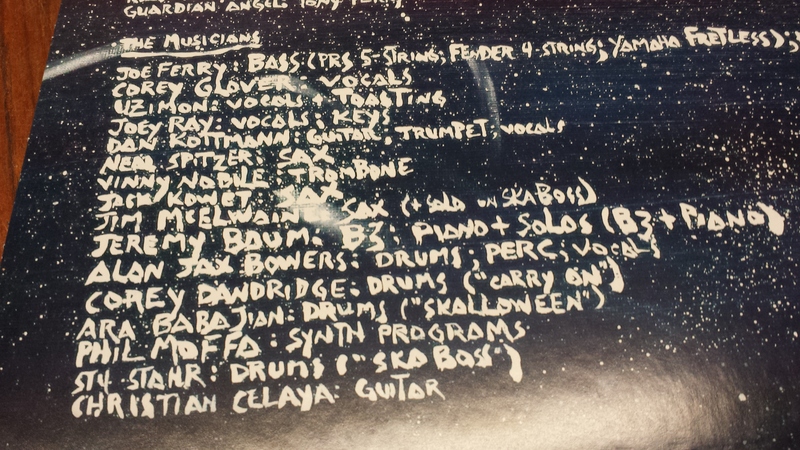 Joe Ferry is also co-writer of the modern ska classic, “Skalloween” which has been re-recorded for this new collection. On this ten track album the band’s lead vocals are shared by Joey Ray, who is one of the most in-demand session singers in New York City, and Corey Glover from Grammy Award winning rock legends Living Colour. Stylistically, the album delivers something for everyone – up tempo third wave skankers with hi-octane horns and gang chorus, laid back summer reggae jams, jazzy Skatalites instrumentals, SKAandalous All Stars style cover tributes (including Radiohead’s “Creep” and a stadium rock medley), rub-a-dubby steppers and so much more! A great listen from start to finish – this record literally takes you back to the diversity of records that came out in the 90s third wave heyday. We also need to mention some more all stars that make up the band! Uzimon contributes vocals and toasting, Vinnie Noble (Bim Skala Bim / Pilfers) throws down some manic trombone and arranged all the horns with saxophonist Neal Spitzer, Guitarist Dan Kottmann (credits include Tom Jones, Jeff Beck, Sheryl Crow, Santana), drummer Alan Jax Bowers (Parrot Beach / Jimmy Buffett) plus some studio wizardry to include samples of The Skatalites, courtesy of Shanachie Records. To round out the release sleeve art and lettering was and painted by Joe Ferry himself. Limited edition of 200 LP vinyl (comes with a CD) and eco-jacket CD available. Next post: THE FUSS “Ourselves” LP / TAPE (JUMP137LP) available NOW! Soulful ska/reggae from Washington DC.